| Take Action on REALTOR® Party Issues When Convenient for You! 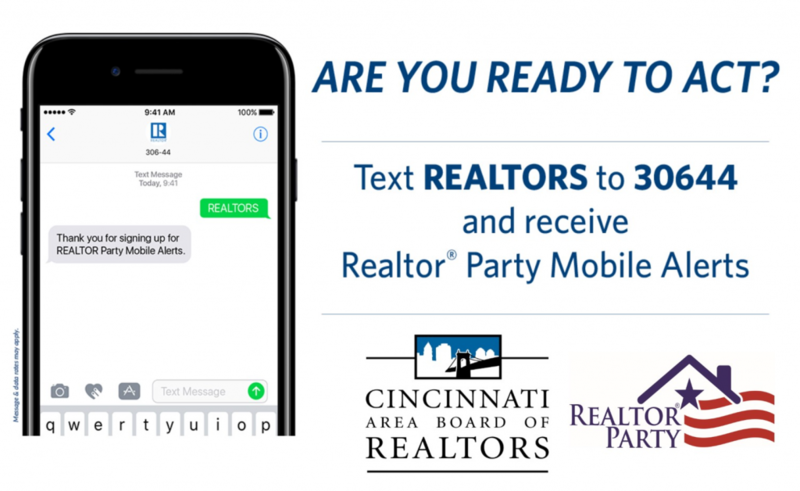 Take Action on REALTOR® Party Issues When Convenient for You! The #1 request REALTOR® Members make is for more mobile-friendly communication and information on their smartphone. REALTOR® Members want short, crisp and graphically-appealing communications. So when the Mortgage Interest Deduction is threatened, the deductibility of state and local property taxes is about to be taken away or any other issue comes up that affects your business, signing up for REALTOR® Party Mobile Alerts will save you time and money! Call for Action Coming Soon! Be prepared! NAR will launch an all-member Call For Action to the full House of Representatives to ask for passage of H.R. 2874, “The 21st Century Flood Reform Act”, on Tuesday, August 22, 2017. Make sure you are up to speed on the issue so you can speak cogently and with authority to your Members of Congress.